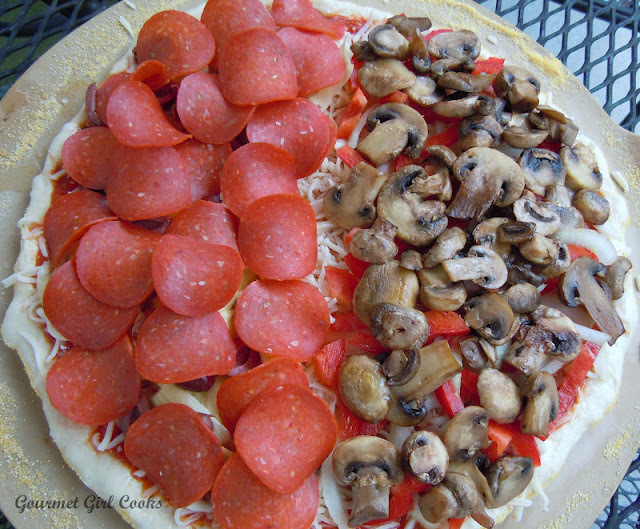 Gourmet Girl Cooks: Tuesday Night Pizza...Abbondanza! Well, it's Tuesday night, and the eve of July 4th which makes it sort of like a Friday night...so we decided to make it a pizza night. Hubby picked up a ball of Publix fresh pizza dough for me on his way home. 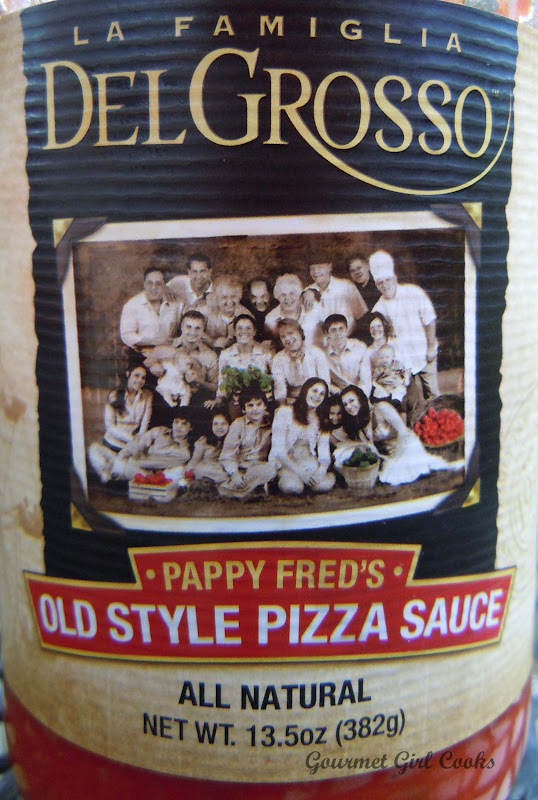 I was excited to try a new pizza sauce made by DelGrosso that I found this past weekend. I love their pasta sauces so I figured their pizza sauce would be delicious as well. Our Publix finally started carrying a variety of different pizza sauces so I picked up a couple different kinds to try. I made our usual -- his half Kalamata olives, artichokes and Boars Head turkey pepperoni -- my half Vidalia onions, red bell pepper and mushrooms. 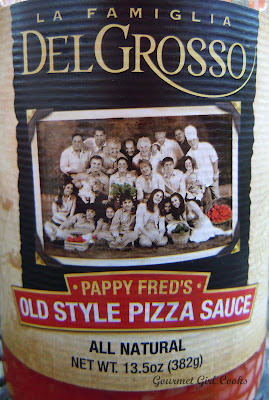 Both hubby and I liked the DelGrosso pizza sauce...but I must admit that I still like my Dei Fratelli pizza sauce better. We will try the Rao's pizza sauce on the next pizza I make -- I picked it up this past weekend too. I snapped a few pics of our pizza before popping it in the oven. Can you tell that he REALLY likes pepperoni and I REALLY like mushrooms? ;-) Enjoy! This is the new sauce we tried.